we don’t know about you, but the recent heat wave has got us craving those bright, sun-friendly looks. But as always, we’re in for an unreliable summer, where we don’t know if one week that sun’s going to be back, blazing and baking away. Or, if we’re down for a miserable downpour. we don’t know about you, but the recent heat wave has got us craving those bright, sun-friendly looks. But as always, we’re in for an unreliable summer, where we don’t know if one week that sun’s going to be back, blazing and baking away. Or, if we’re down for a miserable downpour. And when your heart is constantly shouting ‘sunshine’ but the weather is saying ‘Nah, rain’, the best compromise is to don on the prints. Printed tops are one of the summer’s biggest trends, but you don’t have to just leave it at printed tops. You can extend it to printed playsuits, printed dresses, and even print embroidered accessories. However, you can easily pair a printed top with simple, statement shorts or a skirt when it’s sunny, and jeans when it’s not, so it’s fair to say it’s a wardrobe staple. 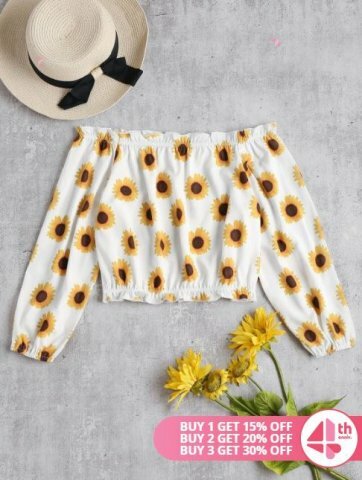 There are all kinds of prints that are huge for this season on Zaful and other popular online stores like Shein (for those who are not familiar with this platform, you can read this Shein review to get more information. Whether its tropical inspired, floral entwined or even bold motifs, they’ll make you feel like you’re in a sunny park, even when you’re in boring work meetings on a Monday afternoon. If you’re a little unsure this printed items to go for, check out our pick of the 8 best. 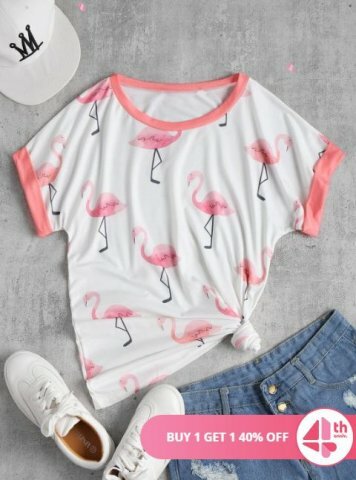 Nothing screams summer like a good old Flamingo print, and this casual tee is the perfect item to pair with denim cut-off’s or skinny jeans if the weather is playing up a little. It’s a slice of summer in a T-shirt! 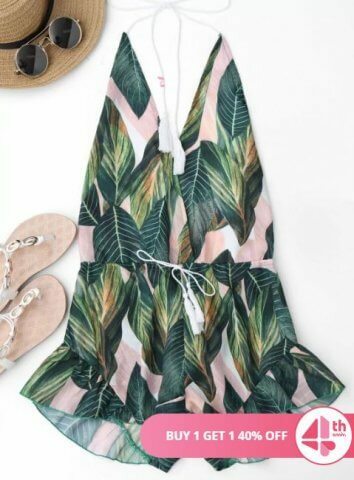 This super cute backless leaf print romper gives a flashy green tropical-inspired print, brightening up those duller days. For those hotter days, wear alone with sunglasses and sandals. But if you’re not as lucky, you can always layer it over a pair of sheer tights and a denim jacket. Now let’s take it back to basics a little with this sheer shirt dress. Nothing says relaxed and comfy more than a loose fitting shirt dress and this casual style features a sweet little print to jazz it up. Featuring a classic shirt collar line and a button front closure, it also has a stylish all-over printed pattern of ostriches. The long sleeves can be rolled up for a modern look and to look cooler on those summer days. Wear as a dress with bare legs and ankle boots, or team with leggings if you wish to cover up a little. Now, these are something a little different, and are super sassy for any weather – come rain or shine! 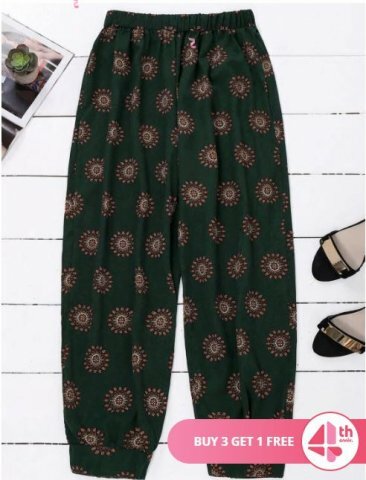 Loose fitting, light and breezy, these black/green harem pants will look fashionable teamed with a fitted cami top, a cropped bandeau, or a fitted denim jacket was thrown over the top. 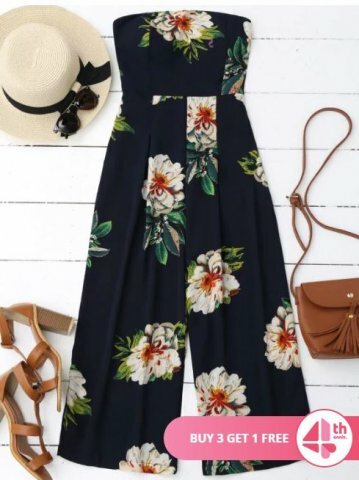 This printed jumpsuit oozes class and sophistication and is actually suitable for an array of occasions. From wedding guest fashion to dining al fresco with friends, this criss-cross strap all-in-one is effortless. Its loose fit makes it a relaxed and breezy style with its high slit accents giving a super wide-legged silhouette. Just pair it with lace-up heels for an elegant, flirty look. Now if we’re talking prints, we can’t forget the all-time favorite florals. 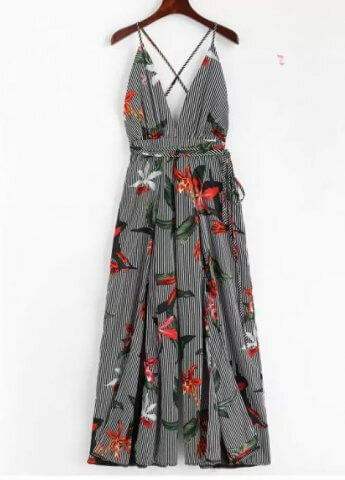 This gorgeous print detail cropped jumpsuit is perfect for both day and evening events, due to its classic and smart colorway and pretty styling. Its loose fitting bottoms give a flowing silhouette, and the cute floral design gives that edge of femininity. This loud yellow off-the-shoulder top is bold, bright and super cute – you won’t be missed when wearing this! It’s versatile enough to wear down at the beach, for a party, or even paired with jeans on your more casual days. It’s an essential item to brighten up your summer wardrobe. 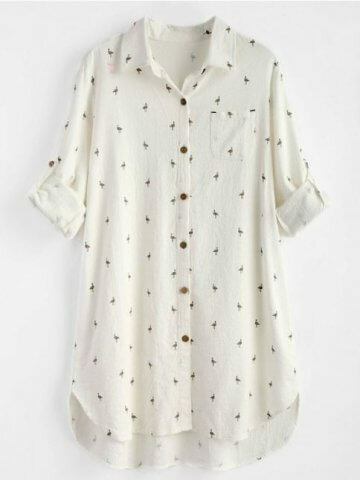 We love its billowy long sleeves which gather at the cuffs and how it gives a relaxed, slightly cropped silhouette. Last but not least, the polka dot print trend is one which is here to stay and never goes out of fashion. Like, ever! Wear your prints in the form of a sassy skirt with this button-up polka dot midi skirt, grazing your calves and sitting under the knee. Its navy and white combination gives that pretty retro feel, especially with its high waist feature and single-breasted design with pockets. So there you go – lots of bold print fashion inspiration, perfect for whatever the weather throws at us!